After your Initial Chiropractic Consultation, we take time to study your health history and correlate our examination findings to prepare a report for your Report of Findings Appointment. This usually takes place 24 to 48 hours after your Initial Consultation and takes approximately 30 minutes. What happens during this visit? During your Report of Finding appointment we will provide you with a diagnosis and discuss your care plan. This will include recommendations designed to help you address your specific concerns and help you achieve and maintain your health. We will also give you the opportunity to ask as many questions as you need to, to ensure that you understand everything we have discussed. 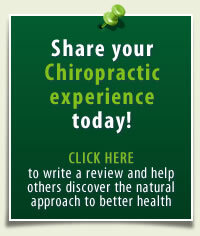 Once you are happy with everything we have discussed, you are ready to receive your first chiropractic adjustment.